Once, people living nearby in the Lyndale and Whittier neighborhoods had easy access to good and affordable food. But, after Sullivan’s SuperValu, a large grocery store with a 28-year history of serving the community closed two years ago, residents found themselves with few options. In an area where many don’t have much money to spend or reliable transportation to travel miles to buy groceries, the neighborhood had no access to a quality grocery store. That’s when Kurt Vickman stepped in, looking for a solution. Vickman, who for 14 years served as head pastor at The Upper Room, a local activist church, resigned his preaching position to devote full time to addressing food insecurity and, along with members of his church, opened a food shelf. But, he found problems. 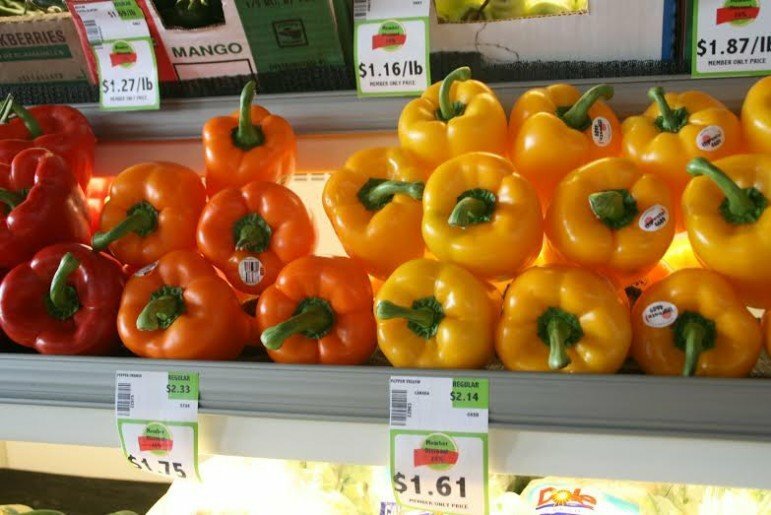 “People who go to food shelves get 10 to 20 percent of their food from the shelves, but for the rest of their groceries, they have to pay full price. For a long time I was hearing about families who, at the end of the month, didn’t have enough food to eat,” he said. Vickman thought there might be a better way. “We had to redefine how to distribute food. We decided to create a space that was somewhere between a food shelf and a full-priced retail grocer,” he said. Many members spend their volunteer their hours stocking shelves or doing inventory. Others have needed expertise – a refrigeration expert if a cooler breaks down, a window washer and professional cleaners. Corporate sponsors have donated amounts from $15,000 to $200,000. SuperValu and The Fish Guys, who usually service higher-end customers, agreed to distribute to the Good Grocer. “That was the critical piece,” Vickman said. 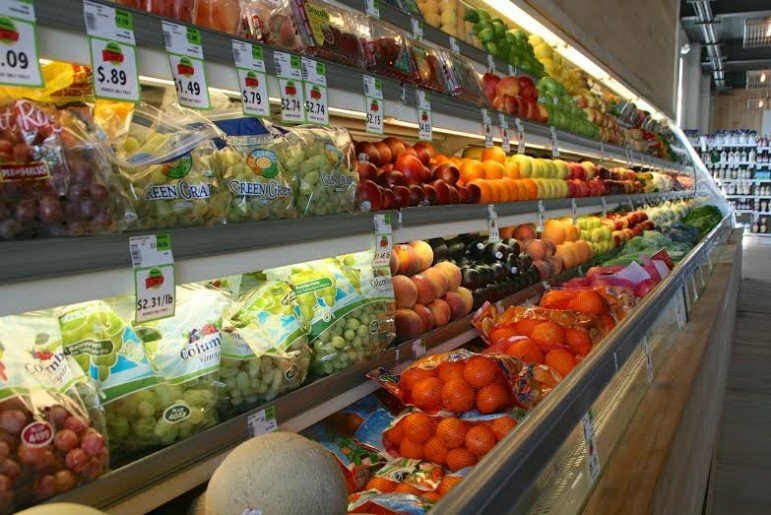 The store has long shelves of brightly colored, fresh vegetables. 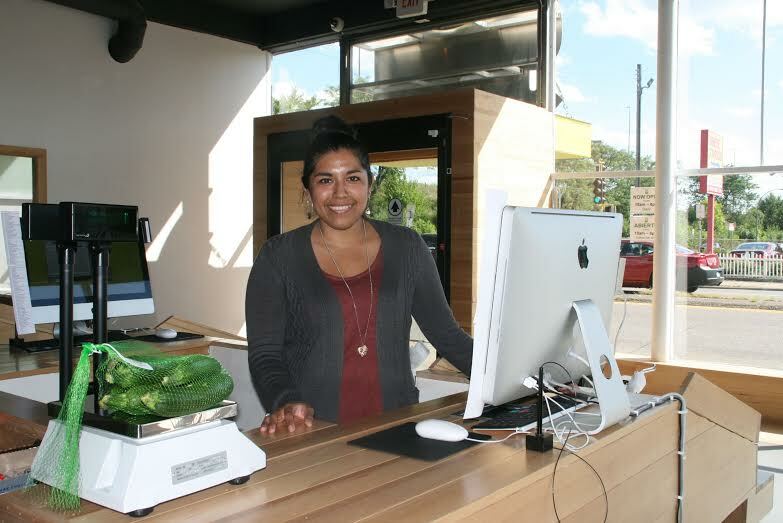 “We take a lot of pride in having fresh and healthy produce,” said Sanchez. The store carries regular and organic eggs ($3.52 for members, $4.69 for non-members) and a choice of organic pastas. You can pick up tofu or fancy ice cream. “We have a very diverse membership – people from Mexico, Central and South America and we have a growing Somali base,” she said, “so we have Mexican and Middle Eastern sections.” The coolers are filled with fresh and smoked meats and the frozen food sections carry healthier frozen dinners and breakfasts as well as frozen pizzas. “We are really trying to bring sustainable good foods to people who shop here. We’ll be increasing the organic food choices as people get familiar with it. And, we’re always looking for feedback from customers as to what they want us to carry,” she said. There’s also a community element. Professional cake bakers make personalized birthday cakes for kids under 18-years at a cost of only $3, with a party room available for birthday parties. And on Saturdays, a member runs the Kid’s Club in the party room, so parents can drop off their kids while they work, shop or volunteer. The Good Grocer is located at 122 E. Lake St. in Minneapolis. It is open from 10 a.m. until 8 p.m. This is a wounderful idea,very creative and positive. I just heard about this via FB friends, and I’m quite excited! There’s a lot of amazing community things happening in South Minneapolis these days, and I’m very happy. Planning on visiting Good Grocer this weekend or next. The article calls this a co-op. A co-op is a legal entity with a very clear xefinition. With a co-op, members actually own the store and make decisions on how it’s run. This does have features similar to a co-op (membership, volunteering, discounts) I don’t think it’s a co-op. Correct me please, if I’m wrong. Not to be taken literally. Perhaps I should have said ‘co-op like’. The best way to explain it in short-hand. Thanks! The original (13 or more) food coops in the Twin Cities were not coops in the legal-entity sense. We used the term to describe what we intended to do (“good food, cheap!”) not for the purpose of defining ownership. This store, in fact, sounds as though it is a lot closer to the original idea (worker/volunteer based rather than member/owner based) than the current legal-entity coops, which are by-and-large not an affordable place to shop for a great many people. I agree. I remember some of the original co-ops. I wasn’t living in the Twin Cities, but in D.C. and in Oregon. I also remember that a lot of them were driven by diet ideology. This place carries organic foods, but also frozen dinners, chips, pizza and (gasp!) meat, something you’d never see in any of the old-school original co-ops. Affordable, too. The best of both worlds. Sounds like a good shift to something that works for all, from the old-paradigm ways that benefitted a few. This is how we are moving from breakdown to breakthrough. New model grocery store actually not so new of an idea! This is a great alternative to Seward’s new Friendship Store in south Minneapolis. 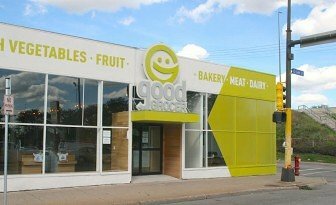 Good Grocer seems like a store that is actually (figuratively) owned by the community rather than just members who can afford $80. Can’t wait to shop there. And I live two blocks away from the new Friendship Store. Tell your friends and forward this to them. This place needs community support. Seward Co-op offers a needs based membership for $15 as well as a 10% discount every time you shop. I became a member in the last year when I learned about it. Although clearly their customer base isn’t low income I do enjoy shopping there for some things. Thanks! The TC Daily Planet is no longer supporting places like this or publishing food articles, but spread the word. The Good Grocer is a great place and needs community support. Thanks! This is hardly new. (Though to be charitable the guy who started it might be young enough to not know about working coops.) The coop I belonged to in West Phillymuch earlier had working members. Seward, when I first belonged in the late 1970s, had working members. I was sad when they stopped having working memberships because I liked cutting and weighing cheese. Most of the early co-ops required membership to buy anything. At Good Grocer, if you are a volunteer member you get a discount. But, anyone can shop there. Early co-ops were mostly for what was then called ‘health foods.’ This is more like a regular grocery store. I drove by and wondered what the Good Grocer was. Thanks to this story I know. I wonder if the exisitng food coops should re-consider volunteer labor.